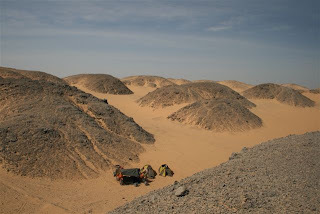 We are waiting for the ferry to Egypt on Wednesday the 2nd, so we are camping out here in the Nubian Desert, close to Wadi Halfa till then. So this is our campsite for a few days. We stopped here to have breakfast along the Nile. (It was sardines and bread with Tabasco, what a brekkie). The scenery is stunning!!! For the girls, but we had to get the background in. So beautifully along our route, and this turned out the best ride so far. 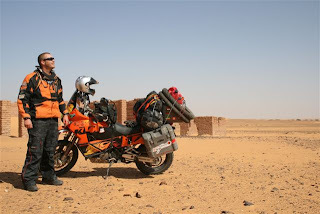 From Dongola to Wadi Halfa in Sudan. 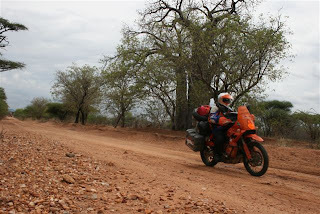 KTM `s still going great. 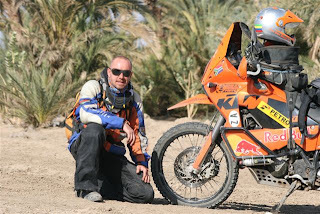 Apart from SM`s flatties, the KTM bike are doing so well. 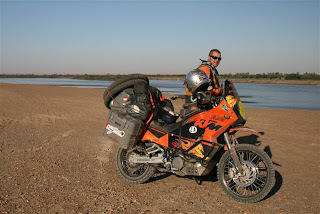 Next to the Nile in Sudan for a quick rest for bike and rider. So glad we are doing this trip in winter time. 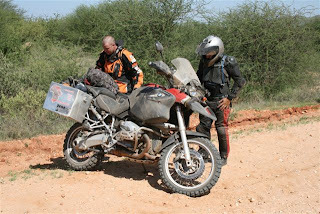 Taking a break in the desert from Khartoum, on our way to Dongola in Sudan. Life is hard in the desert, so glad we are only passing by, but we will never forget all we have seen. In Sudan, following the Nile all the way to Egypt. This was the best ride so far, so beautifully, still looks like Bible pictures, and the people where so friendly along our route. 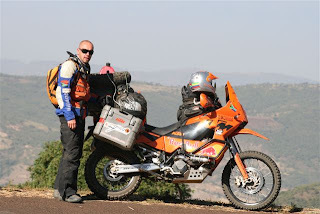 A Swiss and German rider, on there way south to SA. 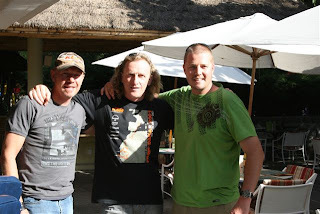 So nice to meet up with guys sharing the same adventure. Good luck guys! 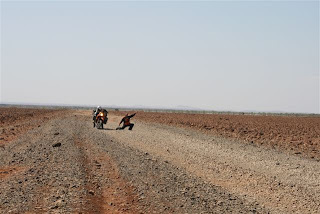 A 180 km`s gravel road to Sudan border. Lots of dust, but awesome ride! 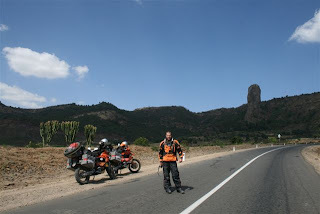 Road to Bahir Dar, Ethiopia. So nice to ride again! We will be in Addis Abeba till Monday 24th, as the Sudanese Embassy is closed for some holidays. 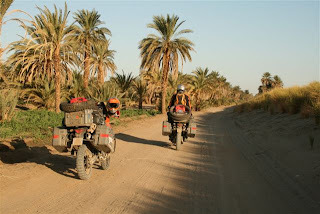 We now prepare ourselves for the roads of Sudan to Egypt. 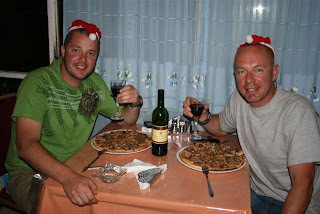 Jan from Prague has now left us, and we will surely miss our Czech friend. At last this front wheel is sorted out for good. 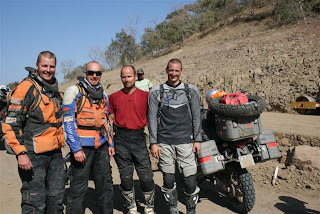 RM and Jan made the ride from Turbi to Moyale, while SM joined his KTM on the police Land Rover. 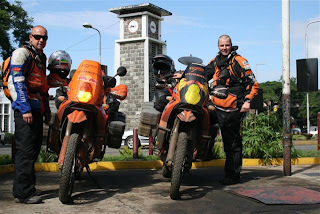 SM at last on the smooth roads in the Highlands of Ethiopia. 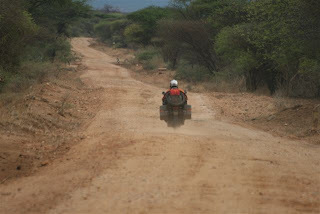 The roads are very good in Ethiopia, apart from cows, donkeys, goats and sheep on the road, it was a pleasant ride. 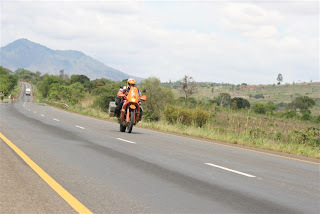 There is still bandits in this area hiding away in the mountains, hijacking trucks along this road between Turbi and Moyale. 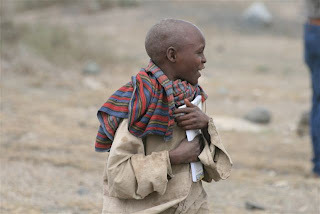 The Turbi massacre was the killing of about sixty people by feuding clans in the Marsabit District of northern Kenya on the early morning of 12 July 2005. Hundreds of armed raiders of the Borana tribe attacked the Gabra people living in the Turbi area, north west of Marsabit. Twenty-two of the sixty confirmed dead were children, and over six thousand people fled their homes, most of them fleeing to Marsabit town. 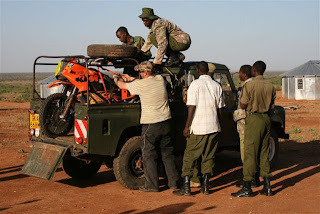 The fighting was a result of competition over scarce water and pasture land in the arid region along the Somali border, as well as a recent political division along ethnic lines. The fighting in Turbi is similar in cause to that between the Garre and the Murule in Mundule in January and February of 2005. Cattle rustling is relatively common practice in this region, and some reports suggest that the massacre may have begun as a cattle raid. The Gabra people, victims of the massacre, had been accused in June of stealing hundreds of cattle and goats. A week after the massacre, Kenyan Red Cross reported that Marsabit had around nine thousand displaced persons, mainly Gabra people. The Red Cross appealed for 53.9 million Kenyan shillings ($709,000) in aid, but received only a small proportion of what they had asked for. 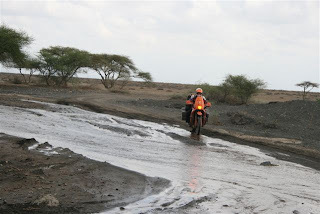 The people of Marsabit have long complained that they are overlooked by central government. The wounded of Turbi had to travel 130 km to reach Marsabit hospital, which has only one doctor. Three days after the massacre, with ethnic tensions still running high, the Roman Catholic Bishop of Zica, Luigi Locati, was shot dead in Isiolo. 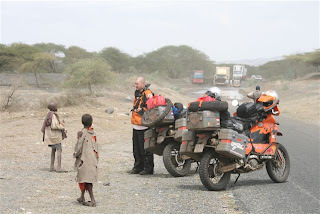 Although Isiolo lies quite a distance south of Marsabit, it has the same ethnic and religious makeup. In both places, about 40% of the people are Christians, 32% Muslims and other 28% believe in traditional or other religions. 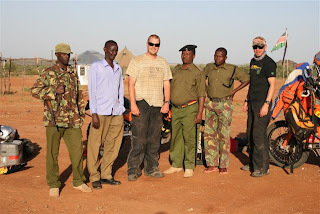 The police and military of Turbi, where we have spend the night, and who have helped us so well. We will not forget all of these people. SM`s yet another flatty, this time it was not possible to fix. 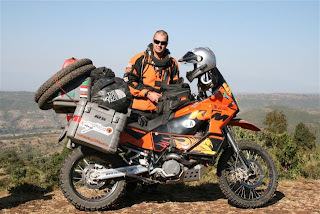 Uploading the KTM on the Landy to be taken from Turbi to Moyale. 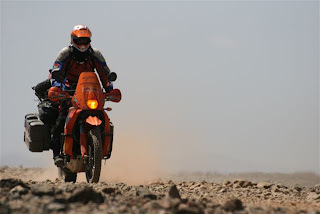 On this stretch of road there is no shade, RM riding the stones to Moyale. Time to move on again, after another water break. Suddenly water became your best friend, we have spend 9 hours on this road. 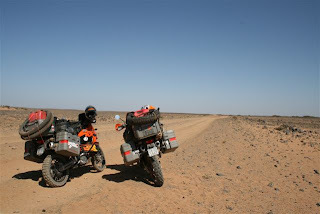 Although very hot, we have enjoyed the challange of this road. SM still having some energy left in the heat. 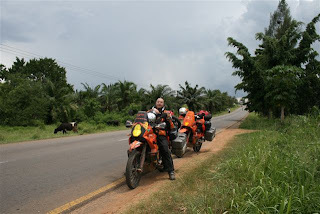 We traveld 30/40 km ph on this strecth of road. Any faster, and your bike will not last. This was our toughest part so far. Noghthing but sand and volcanic stones. 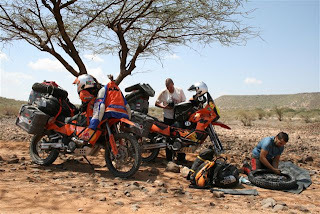 Locals came to the rescue, at Log-Logo 48km from Marsabit. Thanks to Raphael and friends for helping SM in a great way. Thx guys! SM repairing front flat with Jan helping. Nice friend! It was very very hot today. Our new friend, Jan from Prague, took a nasty tumble today. 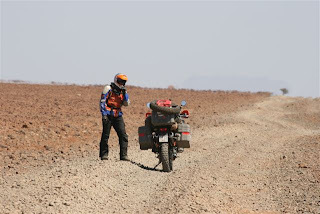 Him and the bike was fine to continue the tuff road. Jan from Prague took this pic. for us. 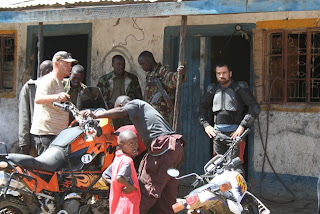 Close to border of Kenya. This is the halfway mark between Cape Town and Cairo. All wet after a heavy storm the previous night. SM sharing a moment with local Tanzanian kids on way to Kenya. 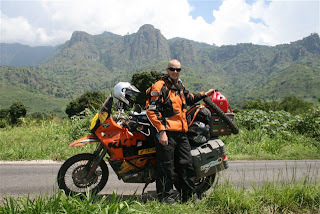 Waterbreak next to road, with Umarura Mountains in the bacground. On our way to Tanga. 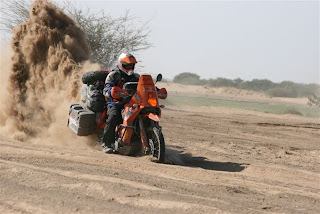 That rear tyre is now asking for replacement very soon. RM having a good ride. 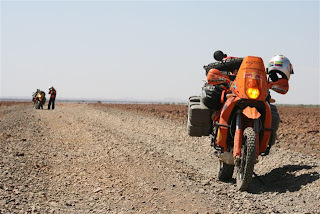 5700 km`s done so far and the KTM`s are holding just fine. I am up for a rear tyre change soon.RM. We have being so lucky avoiding rain storms on our trip so far, and again this was the case today. 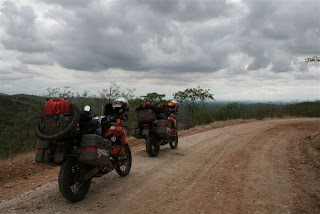 Road to Dodoma , Tanzania. We will never forget this long stretch. 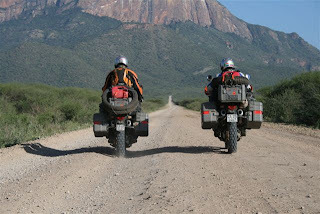 Do rather take tar road from Iringa to Morogoro. 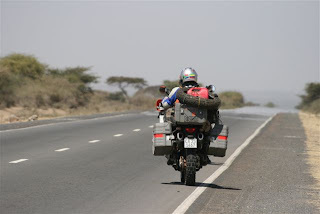 This is the beginning of a 6 hours battle, on a 280 km rattle road to Dodoma. This has tested the loaded bikes. 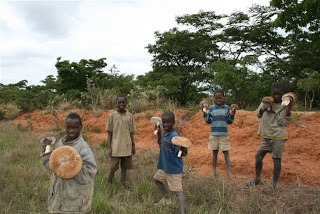 Massive mushrooms for sale in Tanzania, on route to Dodoma. We did not buy any. 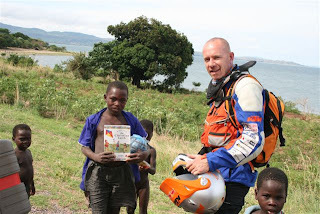 We have handed out some children Bibles to kids in Malawi. 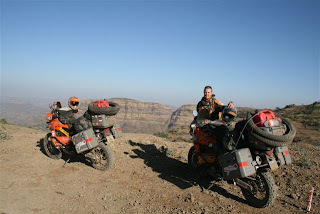 It’s all that I have expected, it’s awesome so far with a lot of riding, riding and more riding. Lots to see and as I am typing this mail, I am sitting next to Lake Malawi overlooking a awesome view, having a green beer ( ok, a few)! The boarder crossings went very well so far, thanks to good planning. 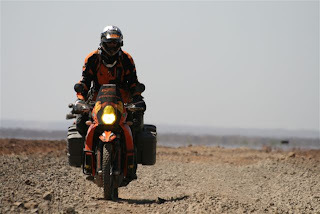 We had some thought riding the last 2 days spending 23.5 hours on the bike travelling, out of 48 hours. Today is a slower day, but we are still well on target. 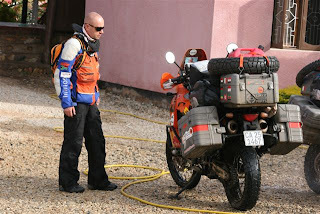 (4500 km`s traveld so far). We have been using our tents every night so far, and tonight will be our first night in a bed, here at Mayoka Village next to the Lake Malawi, and yes all the photo’s I have seen in the magazines, they are true, its awesome here. Thank you for all the support so far, love you all! 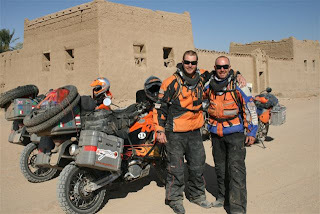 Well , well where do we start , except for 2 very sore arses we are doing just fine, the bikes are going like a dream. 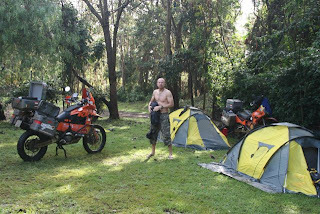 Overall we have had a awesome experience slept in the bush twice, went 2 today without a shower, spend more or less 10 hours on the road everyday riding but that’s what we are suppose to do riding and riding. 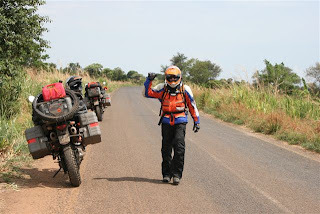 We went thru Zambia soaking wet but we pushed on like two brave adventure riders and made it safely to Malawi after another easy border crossing. 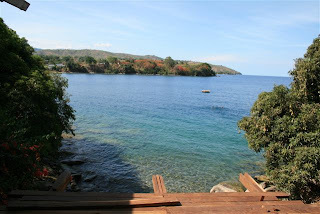 Chilling at the moment at lake Malawi having a ice cold Beer and enjoying the view .The people in Malawi are very friendly and helpful and hopefully we can have a decent nights rest. 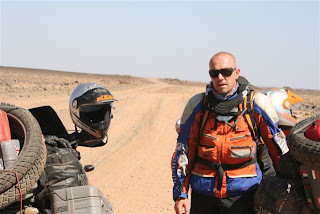 Tomorrow we are off again into wild Africa and on our way to Tanzania hopefully everything will go according to plan, looking forward to tomorrow. Thanks for all the help and support and a I MISS U KIMMY ! 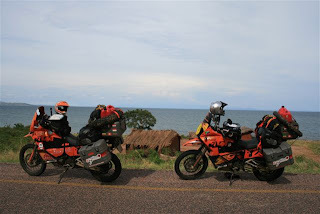 On route in Malawi to Lake Malawi. The ride has been awsome so far. This part was very hot and humid.